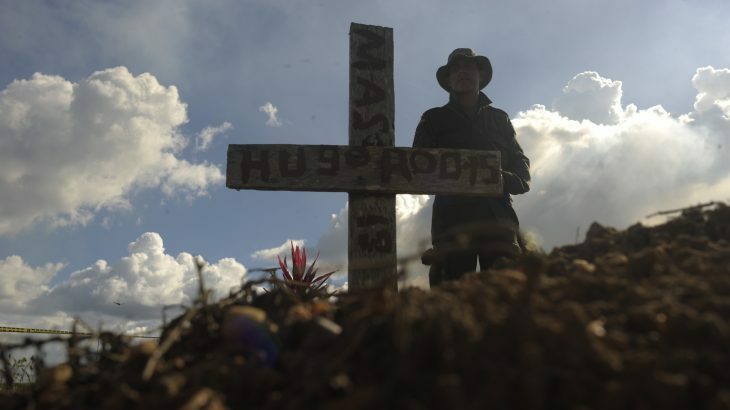 Human rights organisations have condemned the appointment of a Brigadier General accused of extrajudicial executions to a new command role in one of Colombia’s most volatile regions, Bajo Cauca in the department of Antioquia, which has seen high levels of killings of social activists and forced displacement since the peace agreement was signed in November 2016. Brigadier General Edgar Alberto Rodríguez Sánchez, who headed the Ninth Brigade Magdalena Battalion in 2006-2007, is suspected of involvement in at least 22 cases of extrajudicial execution in the so-called ‘False Positives’ scandal in which up to 10,000 civilians were murdered and subsequently presented as guerrillas in return for financial rewards. Two human rights groups, the Antioquia Node for Coordination Colombia-Europe-United States Human Rights Organisations and the Social Process of Guarantees for the Work of Social Leaders and Human Rights Defenders in Antioquia, fear the appointment could exacerbate violence in Bajo Cauca. In a statement, they said ‘we know about the phenomena of generalised violence and humanitarian crisis that Bajo Cauca is experiencing, [and] we warn that this appointment can possibly increase and repeat state crimes against the population, while we call attention to the government solutions projected only through military means will further impact on the civilian population’. The statement also said that the appointment violated the rights of the families of victims of the False Positives programme. Military officials implicated in major human rights violations should be excluded from new positions, it added.